Here is a mystery. 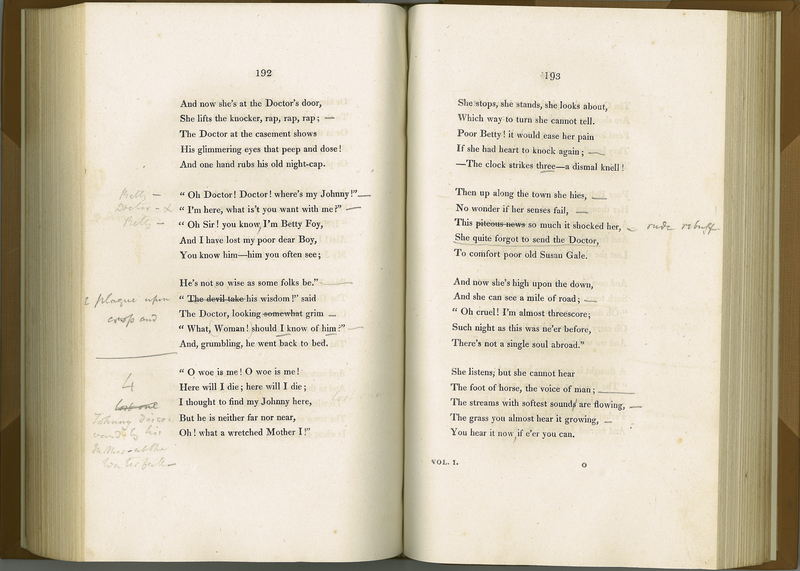 Otago holds three early volumes of William Wordsworth’s poems that were previously owned by one Charlotte E. Wordsworth. This could be Charlotte Emmeline Wordsworth (1839-1922), the daughter of the poet’s nephew Charles Wordsworth (1806-1892), Bishop of St Andrews in Scotland. Unfortunately, we have been unable to locate any document in Charlotte Wordsworth’s hand to compare to the signature in these volumes. Charlotte Emmeline was an Anglican nun, and some quotes transcribed on a front page of Poems suggest an interest in Wordsworth’s religious beliefs. Interestingly, several poems in the volume have been edited and marked up in pencil as if in preparation for a public reading. The handwriting bears a remarkable similarity to that of Charlotte's father, Bishop Charles Wordsworth. William Wordsworth, “Poems by William Wordsworth: including Lyrical Ballads, and the Miscellaneous Pieces of the Author. Volume I,” ourheritage.ac.nz | OUR Heritage, accessed April 20, 2019, http://ourheritage.ac.nz/items/show/10232.